is to nurture children in a Christ centred learning environment in order to develop their full academic, creative, personal, physical, moral and spiritual potential. 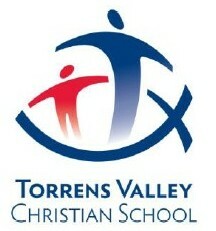 Torrens Valley Christian School is built on faith in Jesus Christ, providing excellence in education and teaching servant leadership, compassion, respect and responsibility for the world in which we live. 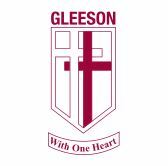 Gleeson College is a Catholic Co-Educational Secondary College situated on the Golden Grove Secondary Schools Campus in the North Eastern suburbs of Adelaide. With an enrolment maximum of 700 students, Gleeson College is particularly well resourced and is complemented by our outstanding shared facilities. Gleeson College was established in 1989 and is named after the late Emeritus Archbishop of Adelaide, the very Reverend James Gleeson. Archbishop Gleeson had a strong personal commitment to the pursuit of excellence, justice and peace, and we believe that the students of Gleeson College continue to strive for those goals in our Catholic tradition. 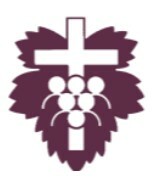 We are a faith-filled community, providing our students and staff with the opportunity to discover, develop and use their God-given talents in the service of others. We aim to foster and encourage all students to strive to be the best they can academically, socially and as a person for the world. Our mission is to always be a College of quality learning and quality teaching. We also aim to work in close partnership with our students and parents, in order to achieve success for all. Pursuit of excellence is a core value of Gleeson College, and is demonstrated by our goal of continuous improvement throughout an evidenced-based approach to 21st Century education. Gleeson College is underpinned by the values of the Gleeson 10, Choice Theory and Brain-Based Learning. 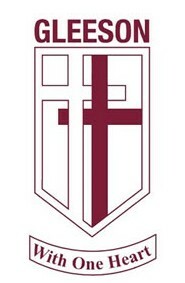 The College operates a Vertical House Structure (VHS) of Pastoral Care, with House Home Groups including both Year 8 and 9 students in the Middle School, and Year 10-12 students in the Senior School. Since its introduction in 2010, we are continually observing the positive outcomes of the VHS implementation, including increased College Spirit and improved student relationships and sense of belonging over all year levels. Gleeson College is a Catholic Co- Educational Secondary College situated in Golden Grove in Adelaide’s picturesque north-eastern suburbs. With an enrolment maximum of 700, Gleeson College is particularly well-resourced, offers a broad curriculum and is complemented by the extended learning opportunities on offer at our One+ (Opportunities North East) shared learning complex. Established in 1989, and named after the late Emeritus Archbishop of Adelaide, the very Reverend James Gleeson, Gleeson College is a faith-filled community, providing our students and staff with the opportunity to discover, develop and use their God-given talents in the service of others. We aim to foster and encourage all students to strive to be the best they can academically, socially and as a person for the world. Our mission is to be a College of quality learning and quality teaching. We aim to work in close partnership with our students and parents, in order to achieve success for all. ‘Pursuit of Excellence’ is a core value of Gleeson College, and is demonstrated by our goal of continuous improvement through an evidenced-based approach to 21st century education. As a values-rich Anglican and Uniting Church School, students are provided with a vast range of opportunities to fully develop their potential. With an environment committed to promoting excellence in academic achievement, the results of our students speak for themselves with consistently high scores in Year 12 studies. But it’s not just our particularly gifted students who are inspired and supported to perform at such high levels. Our classes at all levels regularly perform well above not just state, but national averages. Our ‘Share | Belong | Succeed’ philosophy manifests in all that we do. 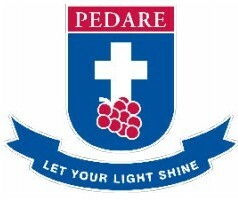 We prepare our students and instil in them life values including compassion, excellence, faith and integrity. We light the way through example and instruction and give each individual student the chance to truly shine.